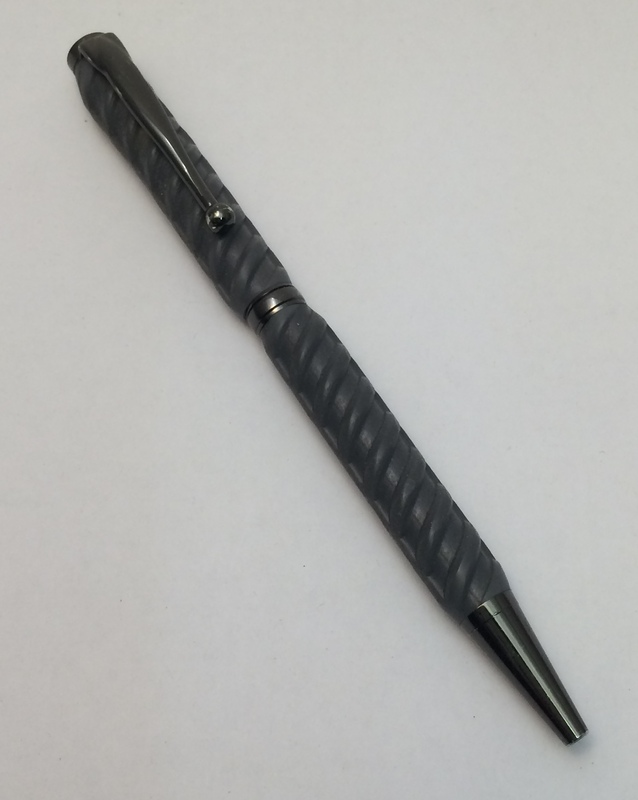 I was inspired to craft this pen after I saw a photo online of a pen made from an actual piece of rebar. 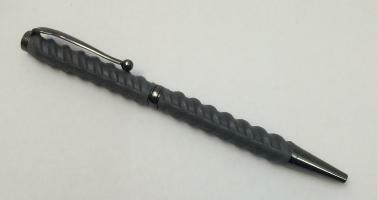 I was concerned about the weight, so I cast the barrel with resin in a mold of #3 rebar. This pen is very light and writes smoothly. The ink cartridge is replaceable and is a “Cross” style refill, available at most office supply stores.